Manufactured with cowhide and latex foam padding. Three point anatomical fit. Hook and loop rear closure, chin strap and lace crown area adjustment. Size Chart (Head Circumference): S = up to 21"; M = 22"-23"; L = 23" and up. 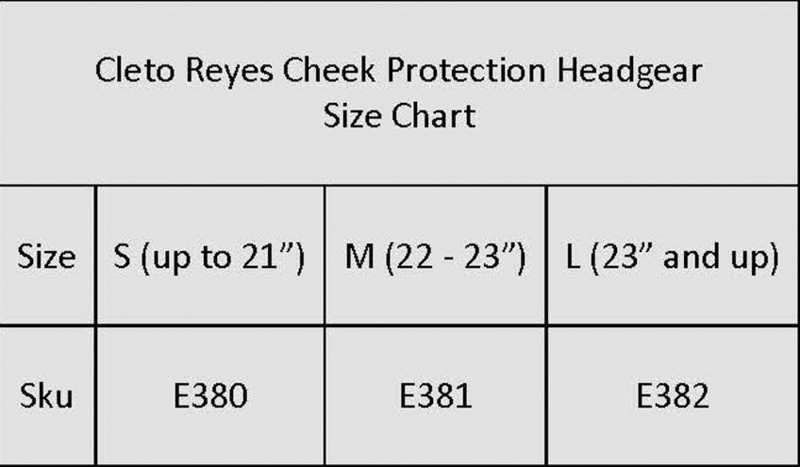 Click the button below to add the Cleto Reyes Headgear with Cheek Protection - Black to your wish list.